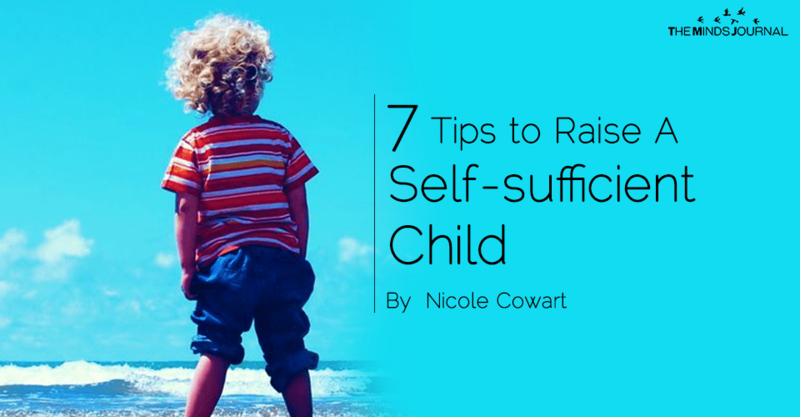 A self-sufficient kid is a calm child who does not depend on his/her parents for even the smallest things. Some parents like to pamper their child so much that they forget the importance of certain values and principles. The parental sentiments towards their child are understandable, however, they may lead to a rude, insensitive, thoughtless, spoilt next generation. Why Is It Important to Raise Self-sufficiency Kids? When a child learns the skills of self-sufficiency and does everything himself/herself, child’s confidence grows from stepping out of their comfort zone. Self-confidence is the key to many things in life. ● The spirit to not give up – kids will continue to be positive all the way. Moreover, according to recent reports, about 25% of 25 to 34-year-olds live with their parents and about 75% parents are supporting over 18-year-old children. The reason for such statistics might be a combination of pampering of kids, lack of employment opportunities or extensive love and fear of parents for their kids. Creating a list of chores for the child seems like a perfect way to start. Although you might find your child not completing everything or did not finish something within the allotted time at least they did finish some work. Therefore, make sure you appreciate their work and comments on how to improve it. The satisfaction on their face after finishing a particular chore is something to die for. The appreciation improves confidence and self-esteem. You cannot call them spoiled if they didn’t get the choice. Yes, it is easy for you to do all the work because there is no time and you do it perfectly. But if you let your child do some things himself/herself, it will instill the sense of independence and trust. Let your daughter choose her own dress. It might not be the perfect one but deep inside you know that you are raising a perfect daughter. If he/she is in a dilemma during some work do not rush to suggest the right thing, let your child do the thinking. When they come asking for help then suggest certain things or give choices but do not jump to conclusion. Of course, your child will make mistakes but if they don’t make any mistake then how will they know. It is crucial to let your child know the difference between right and wrong. Nicole Cowart is a chief editor and academic writer at https://samedaypapers.com/. Her love and passion can be detected in writing. She is also a strong supporter of raising self-sufficient children. She has written numerous articles on this topic, and she believes that as an adult a lot depends on learning and updating the skills. As a child, she was independent and is the same now. And now, she majors in child psychology. She also believes that the world is changing quite rapidly and children along with adults need to adapt to this change. One of the ways is to be self-confident and to not be lazy.